The Episcopal Health Foundation of Dallas (formerly known as the Gaston Episcopal Hospital Foundation) is a private non-profit grant-making foundation. 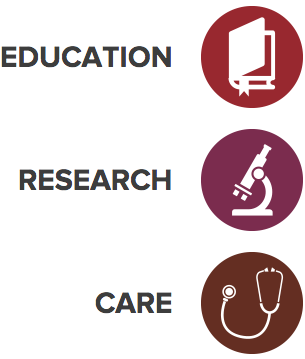 The primary mission of the Episcopal Health Foundation of Dallas is to make grants for the purpose of providing medical care, medical treatment, medical education, and/or medical research in the State of Texas. We accept grant applications from and make grants to publicly supported, 501(c)(3) tax exempt organizations whose objectives and programs generally fit within the mission of the Foundation. Over its lifetime, the Episcopal Health Foundation of Dallas has awarded approximately $7 million in grants. Every year, the Episcopal Health Foundation of Dallas receives many more deserving grant requests than it can afford to fund. Preference is given to organizations that serve the same geographic area as the Episcopal Diocese of Dallas. The Foundation relies on the Episcopal Foundation of Dallas (“Episcopal Foundation”) personnel for administrative and grant support. The two Foundations are related entities in that they share substantially the same Board of Trustees. As of 2013, the same Grants Committee oversees both Foundations’ grant programs. The Episcopal Health Foundation of Dallas has one grant cycle per year. The total amount available for grants varies each year; $200,000 – $300,000 is the typical range. The application deadline is July 31. Grants will be awarded in late September. Individual awards typically range between $2,000 and $25,000.